Christmas only comes once a year, which is why we all flock to make the most of the festivities by planning Christmas events to attend. We are very fortunate to be self-catering accommodation located in the South West as we are surrounded by towns steeped in history that are further beautified by the presence of a Christmas market. Over 200 chalets line the streets of Bath, each filled with unique treats from perfect Christmas presents, festive food and varying beverages. 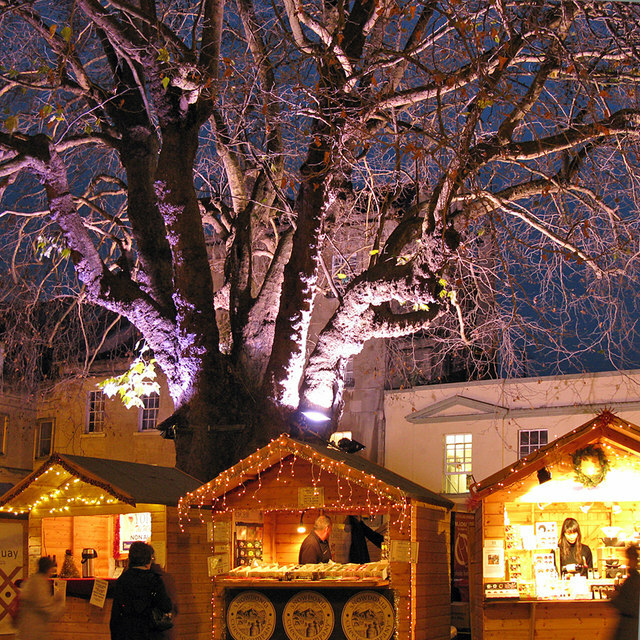 Get spoiled for choice in this beautiful setting for a Christmas market. Festivity comes to Frome! The popular market that comes to Frome each month gets bigger and better in December. There is a special event on the last day of November, the ‘Christmas Extravaganza Market’, where visitors get to experience both a Christmas market in Somerset, and the switching on of the Christmas lights! Is your favourite thing about a Christmas market the food? You’re in luck, the ‘food village’ is returning to the Exeter Christmas market this year! Tuck-in to a hot pulled pork bap whilst standing in the wake of the large bandstand, watching the best musical talent from the area. Their infamous mulled apple gin is back, so give in to temptation and enjoy a glass or two before heading back to your holiday accommodation in Somerset. For one day only, the Frost Fayre comes to Glastonbury. Visitors can peruse food and gift stalls, as well as buskers and live entertainment. If you have little ones, be sure to bring them along as Father Christmas will be there! If shopping and mulled wine isn’t for you, there’s many more Christmas things to do in Somerset for everyone. Perfect for families, couples and groups of friends, ice-skating is a must for doing something fun at Christmas time. 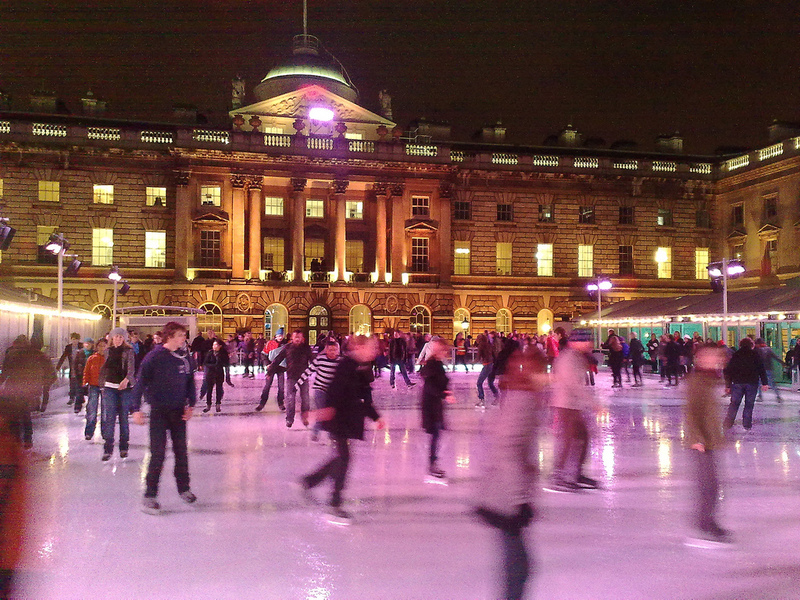 Make an evening of Somerset House ice-skating and indulge in a treat after your slot on the ice; you can savour mulled wine and a sharing mince pie with clotted cream for two! Immerse yourself in a town decorated in light for their annual Christmas festivities. The shops open for this rare Sunday trading day, and there’s carols, entertainment and Father Christmas from the early afternoon until late. This magical day ends with a spectacular fireworks display. Book your self-catering Somerset accommodation for the weekend by booking online or call us on 01278 661584. If you book to stay between the 22nd and 29th December, you’ll get £100 off your booking! Email info@lakeviewholidaycottages.co.uk to find out more.